A lot of the time, workers and consumers don’t know their rights. Whatever the reason – and it’s certainly hard to keep up with legislation passed at state and federal levels – this can leave people feeling helpless, with no motivation to fight back. Whether it’s workers being fired for taking federally protected medical leave or consumers getting injured by skin creams with undisclosed ingredients, not knowing your rights can leave you at risk. That’s why we’re here – to highlight and protect those rights. So, read on – and don’t forget about the settlements at the bottom of this newsletter, some of which are ending soon! Have You Reacted Badly to Mario Badescu Skin Creams? 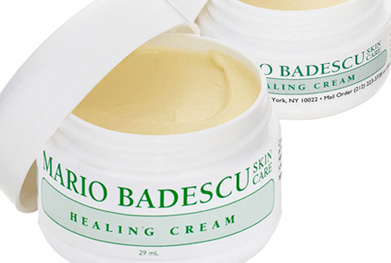 Mario Badescu Control Cream and Healing Cream were meant to be good for your skin – but a lawsuit filed against the manufacturer claims that the steroids that were found in the now-discontinued products can cause serious adverse effects. The suit, filed back in 2013, alleges that the creams contained hydrocortisone and triamcinolone acetonide, which may be linked to skin irritation, unusual hair growth and other side effects. While hydrocortisone can be bought over the counter, triamcinolone is available only by prescription and should not be found in readily available beauty products. The list of reactions to steroid withdrawal (as reported by Mario Badescu users after they stopped using the creams) makes for some pretty grim reading: scarring, skin inflammation, burning, rashes, heart conditions, hair loss, cataracts and more. The company has already faced a class action for allegedly misleading consumers about the ingredients in the creams. Anyone who suffered adverse effects after stopping the products, however, may be able to join another lawsuit to seek compensation for their injuries. Get in touch with us today to tell us about your experience. Tristar, the maker of the Power Pressure Cooker XL, has been hit with several lawsuits from consumers whose food exploded out of the cookers when they opened the lids. These dangerous explosions, which may cause burns and other injuries even when the cooker’s instructions are followed, may stem from a defect that allows pressure to build up without a way of escaping. Some pressure in a pressure cooker is good – too much, it turns out, can be very bad. Personal injury lawsuits filed by users (some of whom opened the cookers when they were unplugged and properly vented) claim that Tristar’s product is unreasonably dangerous and comes without adequate warnings. Attorneys working with ClassAction.org are now looking into filing a class action lawsuit against the manufacturer and would like to hear from anyone who was injured by the Power Pressure Cooker XL. Let us know what happened to you by getting in touch. When most people think of workers’ rights, they probably think of the more tangible benefits built up over years of legislation: minimum wage, rest periods, sick pay and equality rules. What you might not realize is that there are also laws governing whistleblowing that specifically give workers legal protection against employers who might try to punish them for doing what’s right. For example, workers who report their employers for improperly disposing of chemicals or engaging in some other illegal activity can’t be fired for doing so – and if they are, they may be able to take legal action. In the same way, if you know the law and stand up to assert your rights – say, by filing a claim for unpaid overtime with the Department of Labor – it is illegal for your employer to fire you as a result. Employer retaliation is illegal and, if you think you’ve been a victim, you may be able to file a lawsuit for compensation. Examples of successful results include a $700,000 settlement for a university professor who was allegedly fired for testifying in a colleague’s sexual harassment case and a $50,000 settlement for a black driver who says he was fired for reporting his co-worker’s racial slurs. For more information, visit our website and get in touch if you have a potential case to report. A number of companies – particularly those in California – are facing lawsuits after asking workers to clear their schedules for shift work despite not being guaranteed any work. This type of scheduling is common in certain industries (retail, food service, etc.) and often limits where workers can go and what they can do while on call. Certain state labor laws offer protection to workers who are asked to wait around for work that may not materialize – and if you’ve been asked to be ready for on-call shift work without pay, you may be able to take part in a lawsuit against your employer. Read more. Fired for Taking FMLA Sick Leave? The Family Medical Leave Act (FMLA) is a federal law that offers up to twelve weeks of protected, unpaid leave. Anyone who has worked long enough at a company of over 50 employees and is faced with particular circumstances (caring for an ill child, undergoing chemotherapy, etc.) is guaranteed time off – but attorneys working with ClassAction.org believe that some companies are still firing workers for using or requesting their FMLA leave. This practice is illegal – and anyone who’s gone through this may be able to file a lawsuit to assert their federally protected rights. Read more. Should Drugs Ads Use Cartoons? It might sound like a strange question, but how and when potentially dangerous drugs are advertised is strictly regulated – which, of course, means drug companies are experts at pushing the rules to their breaking point. The question of how cartoons are used in drug ads is complicated and companies are often accused of confusing consumers with friendly animated characters that distract from the more serious facts – particularly the drug’s side effects. In our blog post, we take a look at some of the arguments for and against animated ads. Read more. What do sales prices really mean – and what’s the relationship between retailers and their outlet stores? In the last few years, consumers have filed several lawsuits saying they were misled about the amount they were saving on “sale” items that had never really been sold for the higher price. It’s a surprisingly complicated issue, made worse by a general lack of awareness among consumers. So, ask yourself – are you really saving money when you buy clothes on sale? Read more. Good news for the many women injured by the birth control device Essure. A judge in Pennsylvania has ruled that the consolidated suit can move forward with at least some of its claims, including that the company failed to properly warn women about the risks of the device. This is the latest twist in an already long and complicated legal process, but it’s another step in the right direction. Read more. A judge in Pennsylvania has granted summary judgment to Pfizer in over 300 cases filed as part of a multidistrict litigation over Zoloft’s potential link to heart defects in newborns. In making her ruling, Judge Cynthia Rufe noted that, despite the large amount of evidence presented by plaintiffs, “[t]he quantity of the evidence is not […] coterminous with the quality of evidence.” This is a blow for parents seeking compensation for their children’s injuries and may effectively be the end of the litigation, reports suggest.